Aveda’s “Art and Science of Pure Flower and Plant Essences” calls for ingredients of the highest integrity. Sourcing ingredients from traditional communities around the world allows Aveda to connect its mission of environmental and social responsibility with its industry. Based on a holistic approach to beauty and health, we believe that ingredients of plant origin bring out the natural healing power of the human body to maximum effect. Made of certified organic oils, Aveda’s unique aromas embrace nature. They offer you the heart of plants grown with life forces – water, soil, air and sunlight – and the care of dedicated farmers. Treatments are designed, through consultations, to suit the individual needs of each guest. After each treatment, we can create a home-care package for you to continue the Aveda experience in the comfort of your own home. To develop products in which we are fully confident, we are creating a process, which enables the origin of ingredients to be traced. Our new Soil to Bottle traceability system allows us to follow, and document, the lifeline of our essential oils beginning with farms and harvesters who work with Aveda to grow certified organic ingredients. Economically and culturally, the collaborations have fostered hope, creating sustainable business partnerships that benefit the local community. 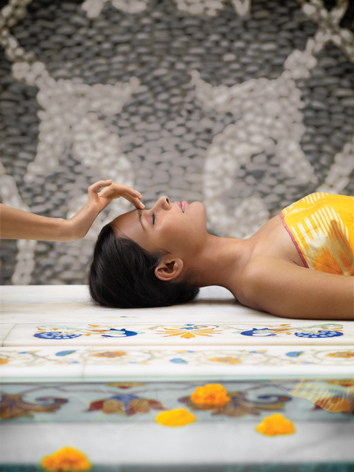 Inspired by various plant-based healing traditions from around the world, Aveda’s spa and skincare philosophy, Elemental Nature, is grounded in the belief that everything in the universe – including the skin and the body – is composed of five elements: infinity (or space), air, fire, water and earth. When environmental and emotional factors such as stress, imbalance or toxicity cause these elements to shift out of balance, this can naturally affect our skin, body and emotions. 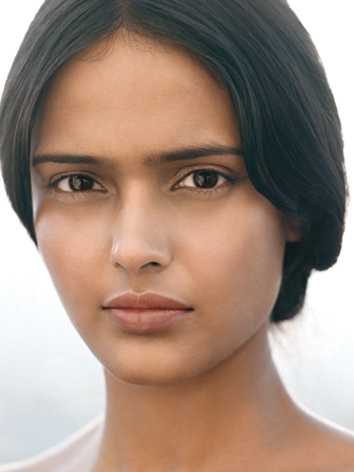 Aveda believes in restoring balance to the five elements holistically – by engaging all five senses (sight, smell, sound, taste, touch) through our pure aromas, plant-based products, nurturing high-touch treatments and unique sensory experiences. Each treatment has added time scheduled for a consultation. Our therapists will consult with you to discover your Elemental Nature, and will take you on a Sensory Journey in search of the aromas that will restore your mind and body to balance. A personalised treatment plan and self-care rituals will then be designed to suit your individual needs.